Over the years, just like in many other fields, a whole library of Old Wives Tales and Myths has grown up around LPG conversions. A few of these have their roots in fact, but many are born of nothing but ignorance. Well so is petrol and diesel, not to mention hurling yourself along the road at high speed in a tin can on wheels ! The reality is that gas can be dangerous if you mistreat it, just like any other volatile substance - but it you treat it right then it’s really no more dangerous than petrol. Well there’s a grain of truth in there, but mostly it’s because it’s so easy to get the conversion or setup wrong. You have to get the mixture right, and the ignition right - if you don’t then you can get a noticeable power reduction. Common problems are getting the wrong mixers and having a weak mixture, and having the ignition too retarded. Well so did some petrol engines back in the days of carburetors ! 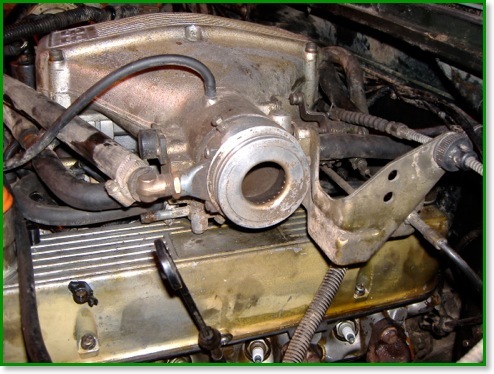 With the universal adoption of fuel injection and high powered electronic ignition, there is now much less fuel in the inlet system and so good backfires are hard to get. Unless you go for an LPG injection system, there is a large volume of gas/air mixture in the inlet which will go BANG in a big way if you manage to light it. But there are two common causes that will trigger a backfire in the first place - poor ignition and a weak mixture. Ignition problems are not uncommon since petrol is very forgiving of a bad setup, but when you turn over to gas, you need a good hot spark and you need the mixture right - if either of these are wrong then you don’t ignite the charge in the cylinder and you build up to the conditions for a backfire. Well again there can be a grain of truth, but in many cases this is because the engine was, to be polite, past it’s best to start with ! Many old engines rely of the ring of carbon deposits around the cylinder to act like a piston ring - the original rings having worn quite badly. When you run on gas, the burn is clean and the old carbon deposits burn away (especially if you have a weak mixture) and this extra piston ring disappears - with a consequent loss of compression. In reality the engine is overdue for repairs, but of course it has to be the gas that caused it ! A second issue is to do with the carbs - when you run on gas, the petrol is shut off and the carbs run dry. With designs like the SU, there are moving parts (the needle in the jet) that start to wear more without the lubrication from the petrol, and in all designs the seals can dry out. On injected engines, the injectors should get exercised each time the engine is started, and such problems should be rare. • There’s nowhere to fill up ! Well that can be true if you live/drive in the middle of nowhere, or in Wales on a Sunday. But in something like 8 years of driving on gas, I’ve seldom had real problems. It is true that you have to plan ahead, employing the common technique of “look for somewhere to fill when the warning light comes on” is likely to lead you with an empty tank - though you can alway carry on on petrol. Well it’s true that the tax has gone up, but not by much. People have been telling me I’m wasting my time and money for 8 years, and in that time I’ve enjoyed having a V8 for the same fuel costs as a concrete mixer engine. As of 2007, the Chancellor has a plan to decrease the tax differential by something like 1p/l a year for the next few years - and at that rate it will take a few years yet for gas to catch up with petrol. Now that can be a problem, with a few insurers still playing the “it’s strange and scary” card. Most insurers are quite happy to insure a converted vehicle as long as you have a certificate for it.